With 28W sound output, these speakers are perfect for playing music, games, movies and online videos. Stay in the heart of the movie and gaming experience and totally immerse yourself in sound. Missed watching your favourite star's new release on the big screen? 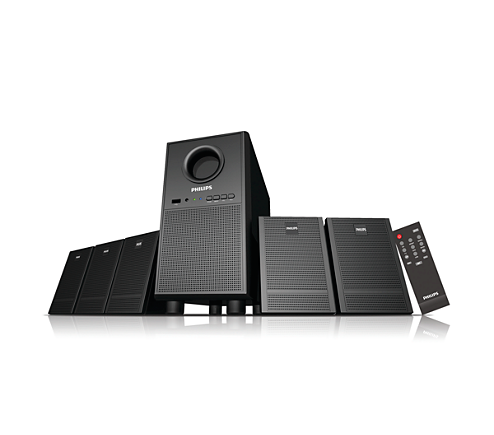 Worry no more with Sony 5.1 home theatre. Great audio-visual treat of Philips home theatre promises to make you forget the luxury lounges of multiplexes! Very much compact Home Theatre with Clear Sound Effects ! Easy Bass enhancement, noise free output, simple look, easy setup, fully satisfied with it !